The ascension of humans or beings into the heavens is a common theme among many mythologies and religions all over the world. Even though most people recognize the well-known ascension of Jesus, and the other examples of the Old Testament, it is surprising how many more have been described as ascending towards their ‘Gods’. 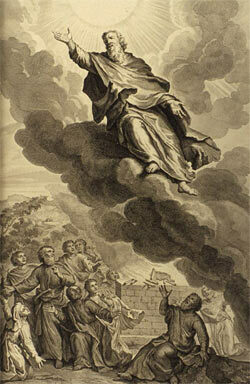 In this account, the word ‘ascension’ refers to entering the realm of the god(s), whether temporarily or permanently. Let’s have a look at the most famous ones. Hercules, son of God Zeus and Princess Alcmene, who was also the wife of the King of Thebes, Amphitryon, was one of the most famous ancient Greek Demi-Gods. He was worshipped in many temples throughout Greece and Italy in ancient times and is well known for his 12 Labours assigned to him by Eurystheus, King of the Mycenaean stronghold of Tiryns – as ordered by Zeus’ wife, Goddess Hera, who wanted Hercules dead. In one of Hercules’ adventures , Hercules killed the centaur Nessus for trying to assault his wife Deianira. But just before he died, Nessus set up his revenge by telling Deianira that his blood could be used as a love potion, when in reality it was poisonous and deadly. Deianira, believing the blood would deepen her love with Hercules, made him clothing from the blood of Nessus. When Hercules put on the clothing, his flesh began to burn as a result of the poisonous blood of Nessus. Knowing that his death was approaching, he asked to be taken to the highest peak of the mount Oiti to be burnt in a fire to escape his torture. 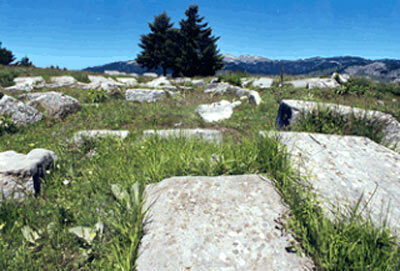 The event was said to have taken place on a hill over mount Oiti, just above the ancient city of Delphi. Image: The image on the left shows the remains of the temple where the ascension of Hercules took place. Hercules was thrown into the fire and, as this happened, a large dark cloud producing noisy thunder descended over them. After a while the cloud ascended again and to their surprise Hercules’ friends realized that Hercules had disappeared. From then on it was told that Hercules ascended to Mount Olympus to be among the gods. According to mythology, Hercules got married to Ivi, daughter of Zeus, and remained on mount Olympus forever as an immortal. 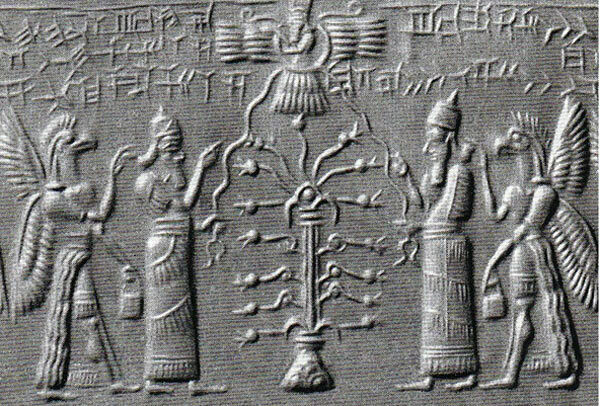 Adapa (or Adamu) according to the Sumerian mythology was the son of God Ea (Enki), the patron god of the famous ancient city of Eridu. Adapa was a demi-god who learned much of his knowledge through his father, however he wasn’t immortal. Adapa was out fishing one day when a wind overturned his boat, causing him great anger. In his rage he broke the ‘South Wind’, a type of god, which was responsible for the event. 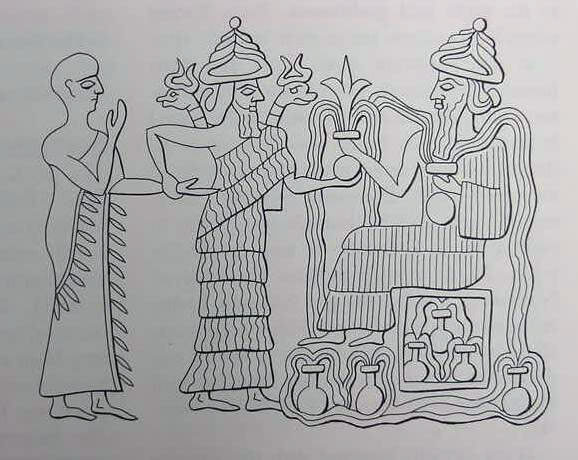 According to the myth , the Supreme god Anu, father of Enki, called Adapa to account for his actions, and for this Adapa was ascended to Anu’s abode. One of the most famous ascension stories in the Old Testament is the story of Enoch. Enoch was one of God’s favourite subjects. Patriarch Enoch was the great grand-father of Noah and the father of Methuselah. You will find him in the Book of Genesis where he is referred to as one of the ten Patriarchs before the great Deluge. According to the Old Testament, Pre-Deluge humans were said to live for a few hundred years. Enoch lived for 365 years, which was relatively short by the measure of that time. In the latter, we can see that not only he ascended but he also became immortal: “…so that he would not see death” . If we now move to the apocryphal books of Enoch , we can see multiple descriptions and details of encounters between Enoch and God. These books are the 1 st, 2 nd and 3 rd Books of Enoch. The most well-known is the 1 st book of Enoch, which was discovered in 1773 by the explorer James Bruce, who retrieved three Ethiopic copies of the book in Abyssinia. The Book of Enoch is not considered to be part of the Bible or of the Hebrew texts. There are extensive references in the book of Enoch that go beyond the scope of this article. 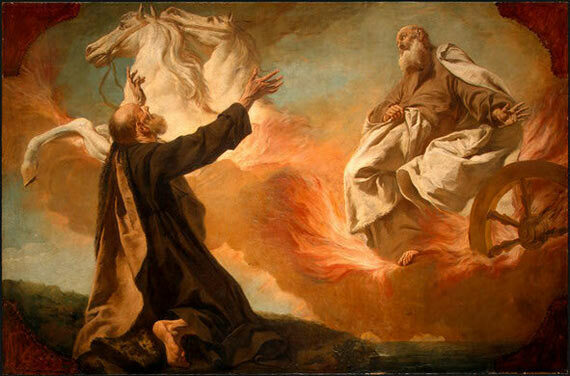 Elijah’s story is another fascinating ascension into the heavens, but this time through chariots of fire. Elijah (his name means “My God is Yahweh”), was one of the major prophets of the Old Testament. According to the Book of Kings, he had extraordinary god-like abilities. He could bring people back from the dead, make the sky rain with fire, multiply food, separate the water of the Jordan river (similarl to what Moses did in the Exodus), and more, as mentioned in the scriptures. Elijah was a strong supporter of the new ‘God’ of the Old Testament and defended him against the worshiping of Baal , one of the Gods that the Jewish worshipped before the Old Testament. Even though it was written that Elijah was taken by God, according to the prophecies of the Hebrew Bible, he was destined to return with the second coming of the God. Elijah is also described in the Qur’an as one of the great prophets of God and the most powerful against the battle with Baal. Many more tales and legends exist describing the stories of mortals ascending to the realm of god(s), so many that you could write a book about it. It is apparent from many ancient mythologies and religious texts that people with a ‘special role’ to play were always in direct contact with their God(s) and visited his/her/their abodes. What accounts for these similar descriptions across different cultures and ages? Were they simply the products of creative imagination? Or were ancient people describing real events that took place? It is unlikely that these questions will ever be settled. But the bigger question is: Why would this particular myth be so powerful as to survive and perpetuate over so much time and distance? There must have been countless stories being told throughout the ages. Yet certain ones, such as this one, persist. And stay largely intact. "What accounts for these similar descriptions across different cultures and ages? Were they simply the products of creative imagination? Or were ancient people describing real events that took place? It is unlikely that these questions will ever be settled." The choice "none of the above." They had similar descriptions because the original myth "drifted" as it dispersed. A Herculean Effort: What Led to the 12 Labors of Hercules and How Did He Succeed? Read more about A Herculean Effort: What Led to the 12 Labors of Hercules and How Did He Succeed? The Colossal Hand of Hercules, So Where is the Rest of Him? Read more about The Colossal Hand of Hercules, So Where is the Rest of Him? A Monstrous and Venomous Serpent: Legendary Crusading Heroes and Wyrm-Slaying Symbolism – What Does it Mean? Read more about A Monstrous and Venomous Serpent: Legendary Crusading Heroes and Wyrm-Slaying Symbolism – What Does it Mean?